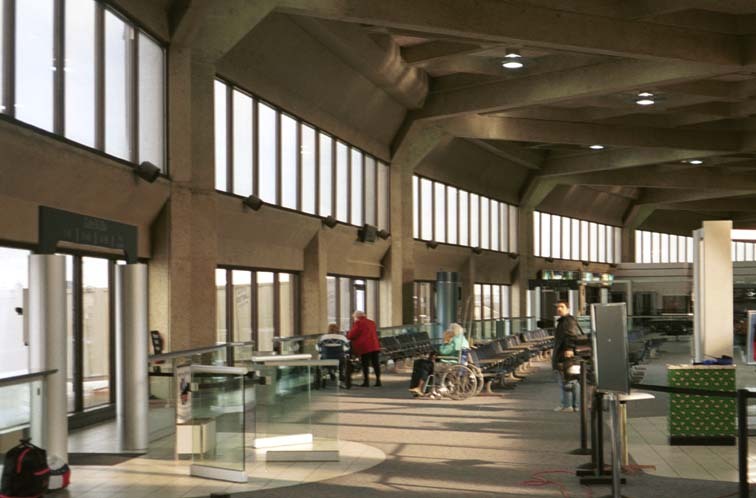 We left Kansas City International Airport on Tuesday, December 12. Thomas managed to miss only two days of school since we had three snow days that week - Monday, Tuesday, and Wednesday! 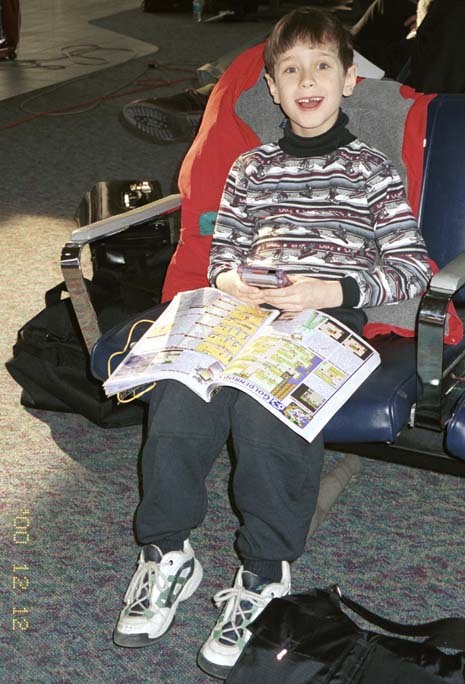 Thomas took the color Gameboy along and played it in the airport, on the airplane, and in the car. Here he is consulting his Pokemon Gameboy guide. Kansas City International Airport is quiet compared to LAX and Kennedy International, which we traveled through on the way to Spain.